"The Quaternary sediments in central Germany are perfect archives to understand the climate shifts that occurred in the region during the last 450,000 years", says co-author Tobias Lauer, a geochronologist at the Max Planck Institute for Evolutionary Anthropology. "This is because all sediments representing the ice advances and retreats of Scandinavian glaciers into Europe are preserved here." The sediments in the region, and especially in the area around the city Leipzig, are extremely well documented due to tens of thousands of drillings over the past few decades and open pits related to brown-coal mining. Especially relevant are the river deposits of local rivers like the Weisse Elster and the Saale, which are preserved between the moraines of the so-called "Elsterian" and "Saalian" ice advances. "Especially the timing of the first major glaciation has been highly debated within the scientific community during the last few decades", says Lauer. "By dating the river deposits systematically we found that the first ice coverage of central Germany during the Elsterian glaciation (named after the river Elster) occurred during marine isotope stage 12, likely about 450,000 years ago, which is 100,000 years earlier than previously thought." To obtain these dates the researchers used luminescence dating, a technology that determines how long ago mineral grains were last exposed to sunlight or heat. The river deposits also contain Lower- and Middle Paleolithic stone artefacts yielding important information on early human dispersal in central Europe. "The first traces of human Lower Paleolithic occupation in the area date back to about 400,000 years and are connected most probably to the interglacial period following the first major glaciation", says co-author Marcel Weiss, an archeologist at the Leipzig Max Planck Institute. "These traces are evidenced by more than 6,000 Lower Paleolithic stone artefacts that had been recovered from the gravel pits of Wallendorf and Schladebach in Saxony-Anhalt, Germany." Middle Paleolithic stone artefacts from the same region are correlated with river deposits dated between 300,000 and 200,000 years ago and are associated with Neanderthals. 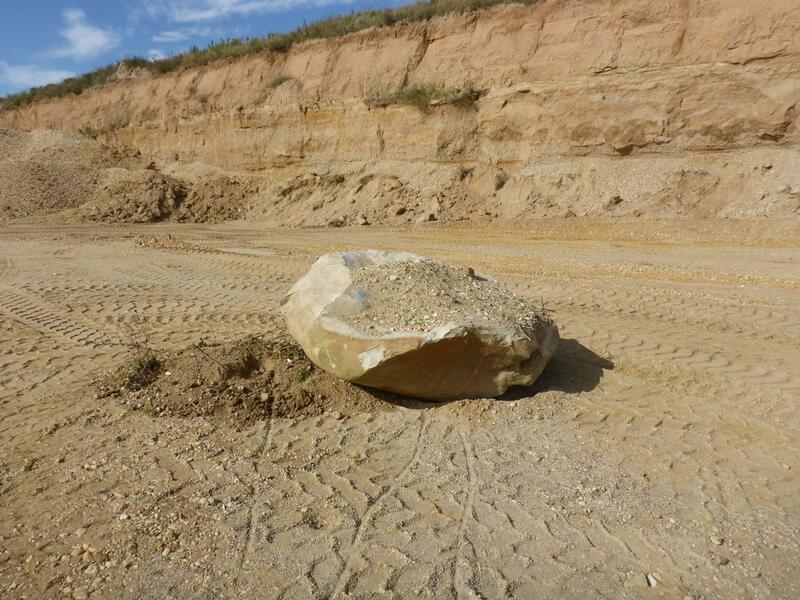 The Pleistocene river gravel deposits from the top of the sequence in the former brown-coal mine Zwenkau, which is located south of Leipzig in Saxony, yielded the oldest Middle Paleolithic artefacts. This artefact inventory, the stone tool assemblage of "Eythra", is known for its numerous handaxes and dates back to about 280,000 years ago. "Our dates will have a major impact on the understanding of the timing of glacial cycles and climatic shifts of ice-age Europe", say the authors. "The first major glaciation had a huge impact on the environment and re-modeled the entire landscape. The newly determined ages of the Lower and Middle Paleolithic artefacts will help us in the future to reconstruct the ways in which humans populated or re-populated central Germany and central Europe following this major climatic impact."